Red ties, linen and hipster shades - get to know Britain's stylish Prime Man! 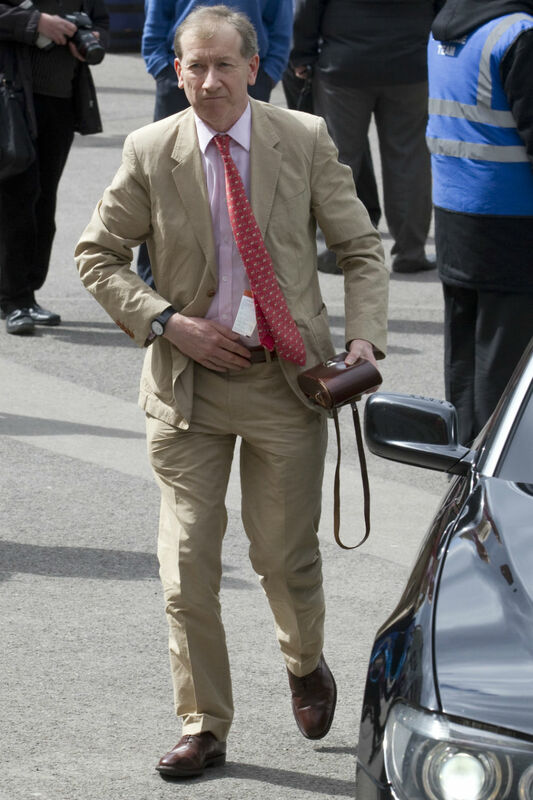 Philip May isn’t a friend of the limelight, but what he lacks in public profile he makes up for with sartorial nous. Following his rare appearance last night with PM wife Theresa May on The One Show, where the two covered all the tough questions, like weekly dinner plans and who puts the bins out, we couldn’t help noticing Phil’s on-the-money pairing of a blue check shirt and navy jacket with those signature Peckham hipster frames. 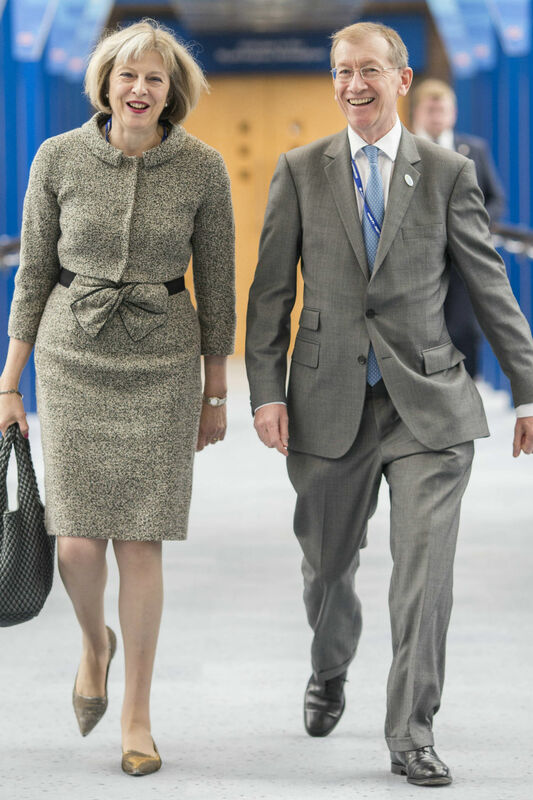 Meet Philip May, the man stepping into Sam Cam’s shoes as the new Prime Spouse (or ‘First Dude’ as they’d say across the pond). 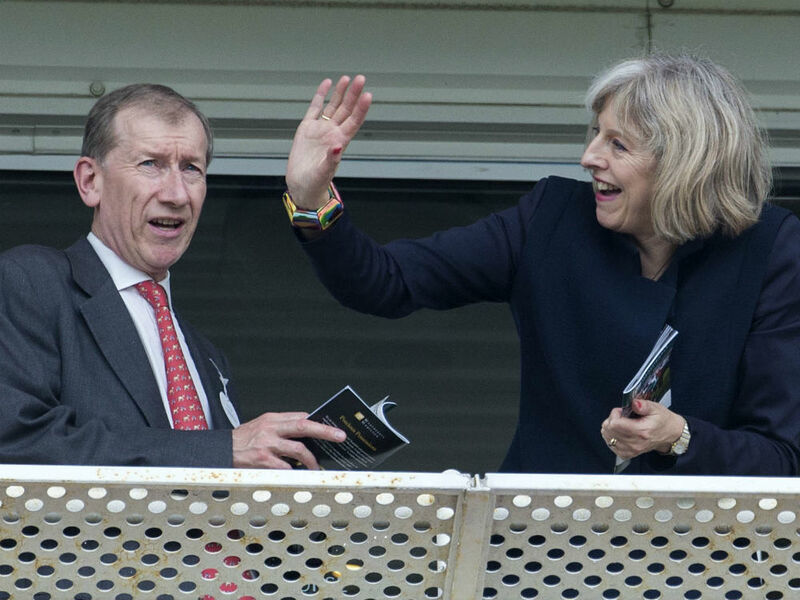 The banker husband of our incoming Prime Minister Theresa May has kept a relatively low profile up until now, largely thanks to May’s unusually fast-tracked entry to the highest political office in the country. With no general election to contend with, Mr May has so far avoided being paraded around like a dressage pony in a printed Per Una frock (£55) and L.K Bennett suede kitten heels (£125), or called on to reveal playful insights into the secret world of Mrs May (‘Oh Theresa loves Countryfile – woe betide anyone who calls the house phone while that’s on!’) or to present an emotional lectern tribute to ‘Your Future Prime Minister, and My Wife, Theresa May’ to soften up the crowd before Big T comes on. 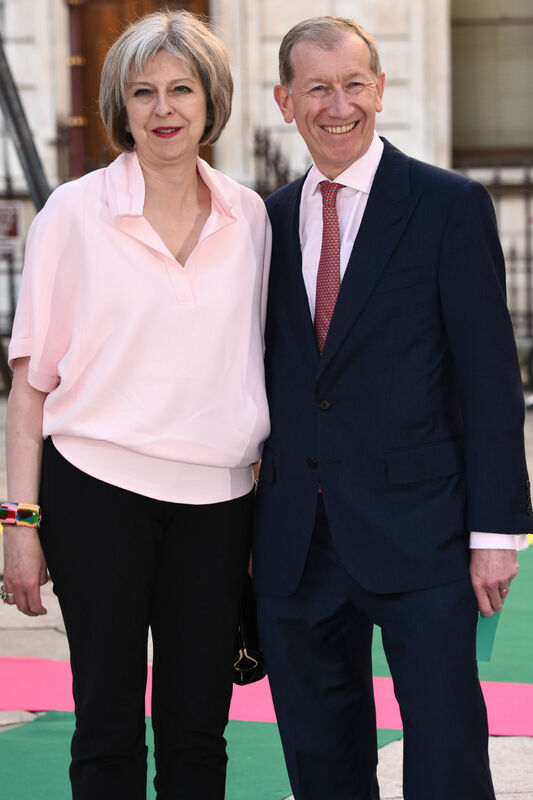 But what we do know is that the Man May does give a good suit, prefers a red tie and is happy to fall in line with his wife’s colour palette. 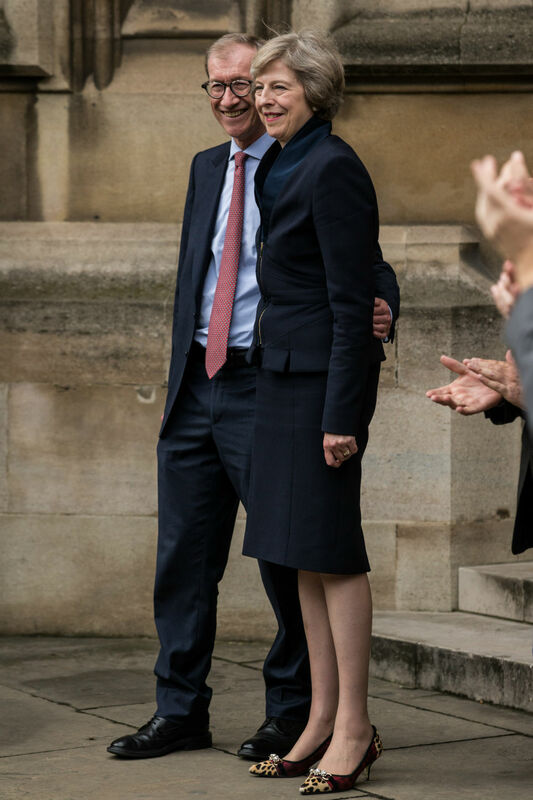 Philip May doesn’t just flirt with a summer linen, he jumps right in with a tight and loving embrace. Note how he’s cleverly matched up his accessories here too – are the co-ordinating brown leather shoes and bino case an accident? We don’t think so! 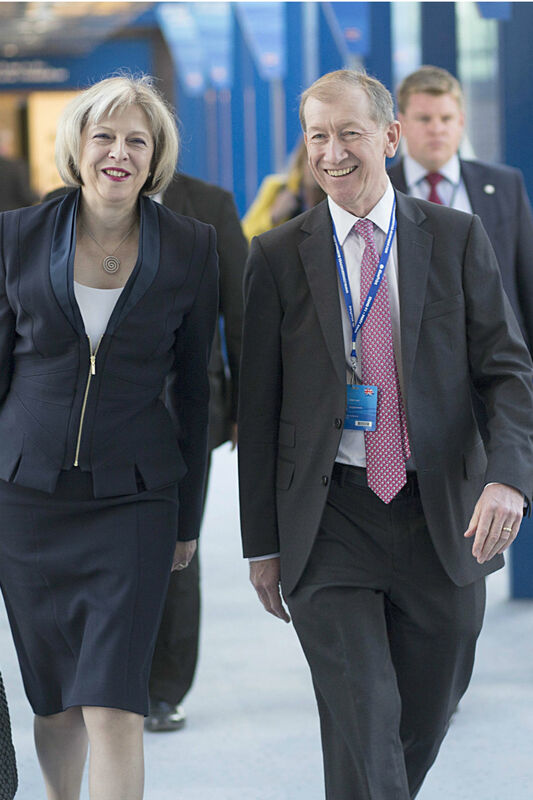 This isn’t the first time Mr May has complemented his wife’s sartorial choice perfectly, and something tells us it will not be the last! Bonus points for the fashion-forward match-up of red and pink. As anyone with style chops as sharp as Phil will know, a colour clash of this kind isn’t just acceptable – it’s encouraged. 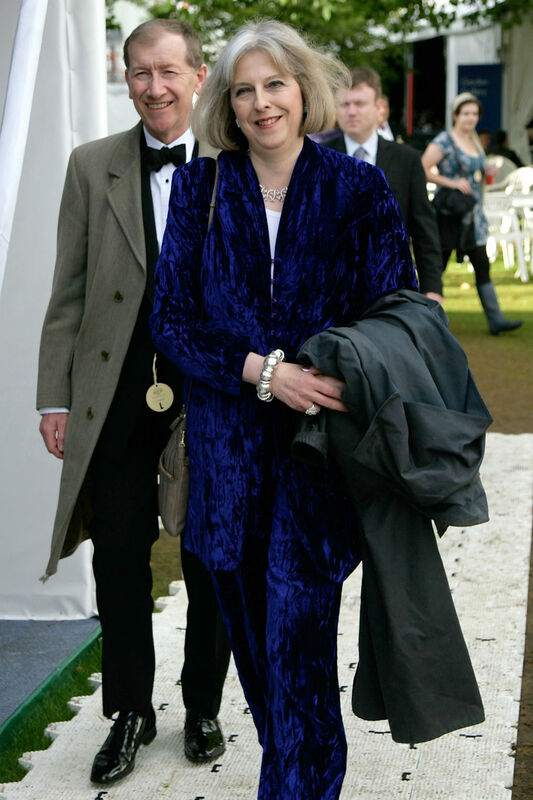 Mrs May might be taking up the foreground in floor-length crushed midnight blue velvet, but let’s not let that overshadow the natty tweed coat Mr May’s just casually slung over his tuxedo here, like the Country Life James Bond he is. His horse might not be winning, but that red tie is. It’s the opposition shade, but Philip May doesn’t care. He doesn’t play by the rules – he is the rules. Below the neck he’s corporate cool – above it he’s 100% Peckham hipster.